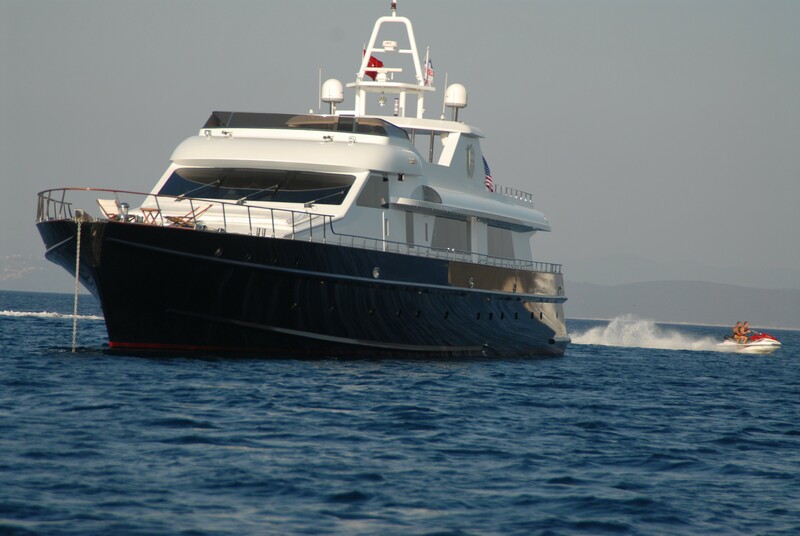 Built by Lurssen in 1964 and last refitted in 2007, open yacht SEASTAR is a classic 45m/147ft wood planing yacht featuring the exterior styling of Naval Architect Ercument Kafali and interiors by Bebek Art & Decoration. 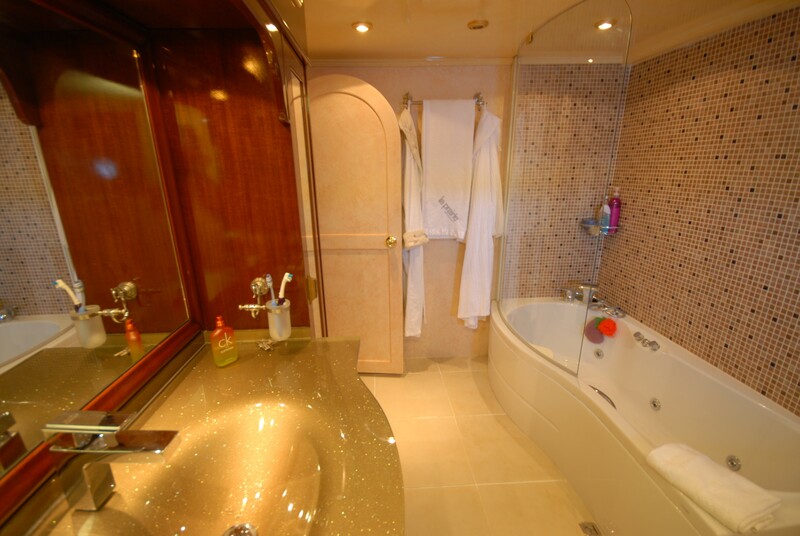 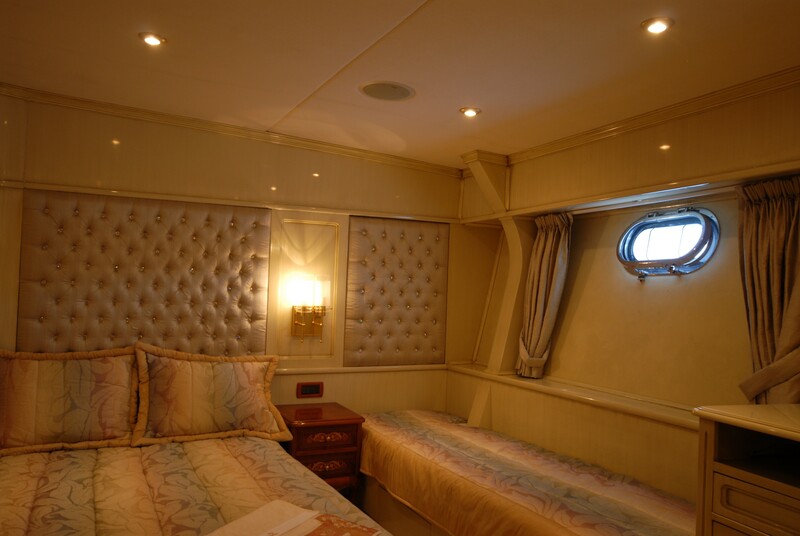 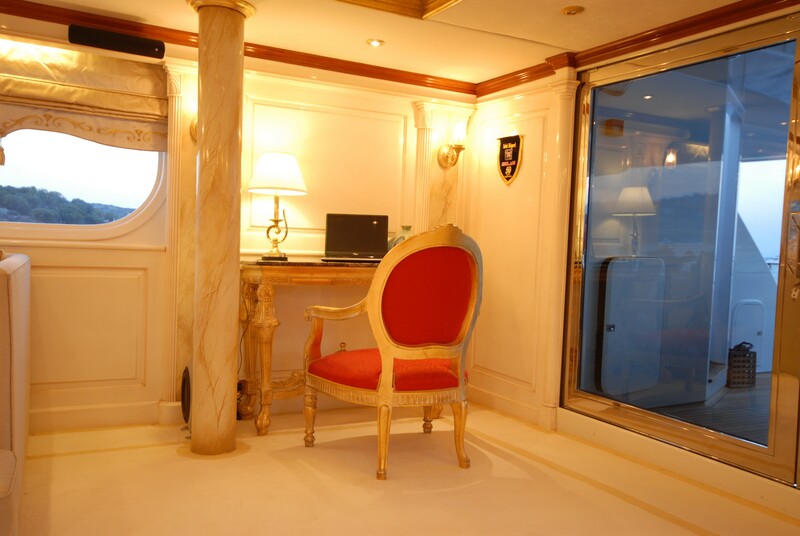 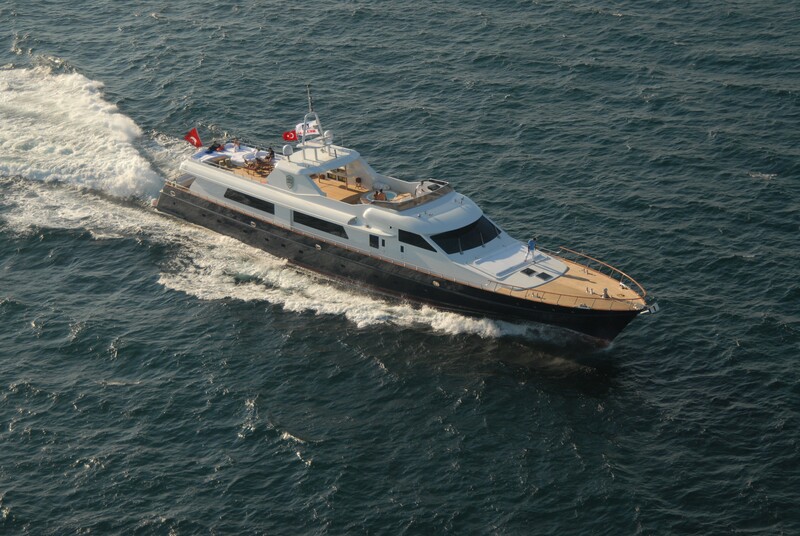 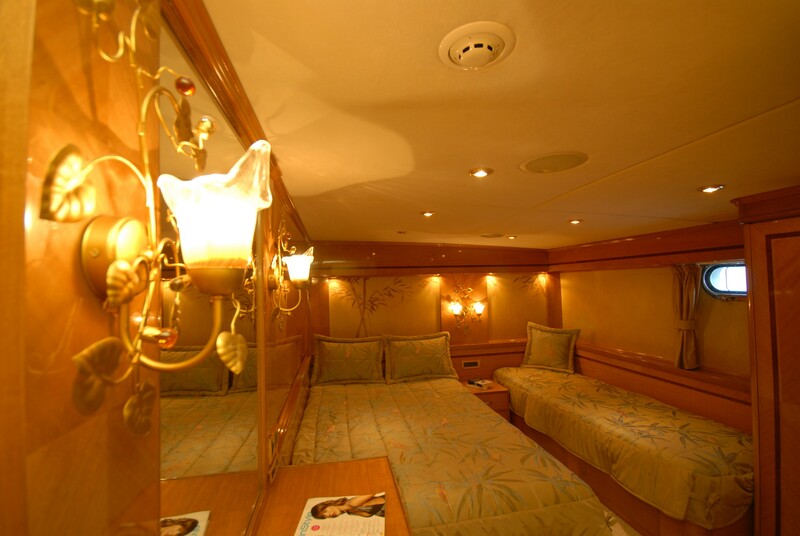 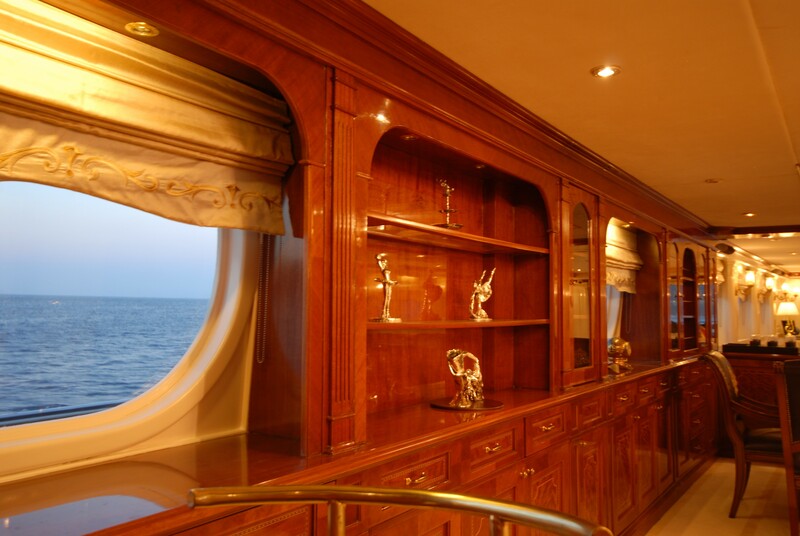 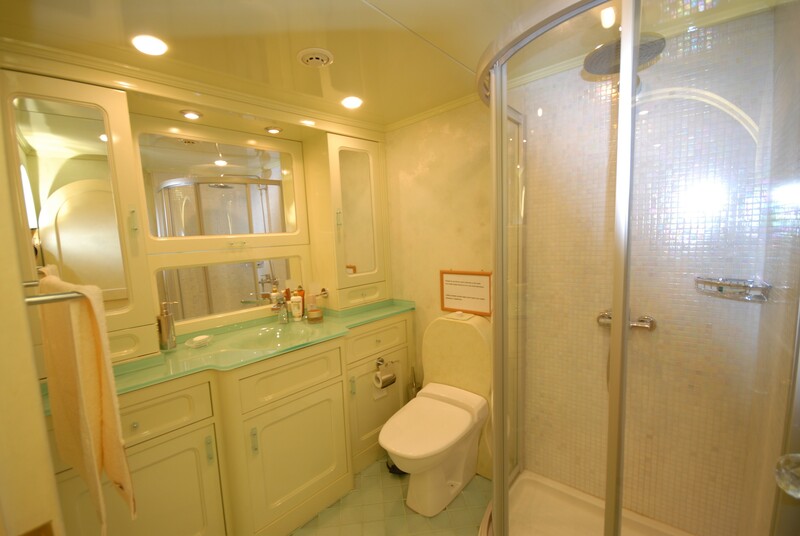 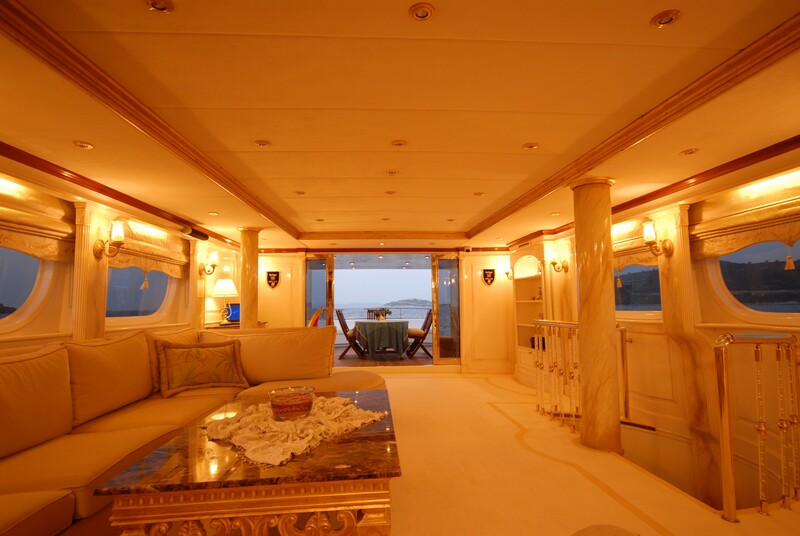 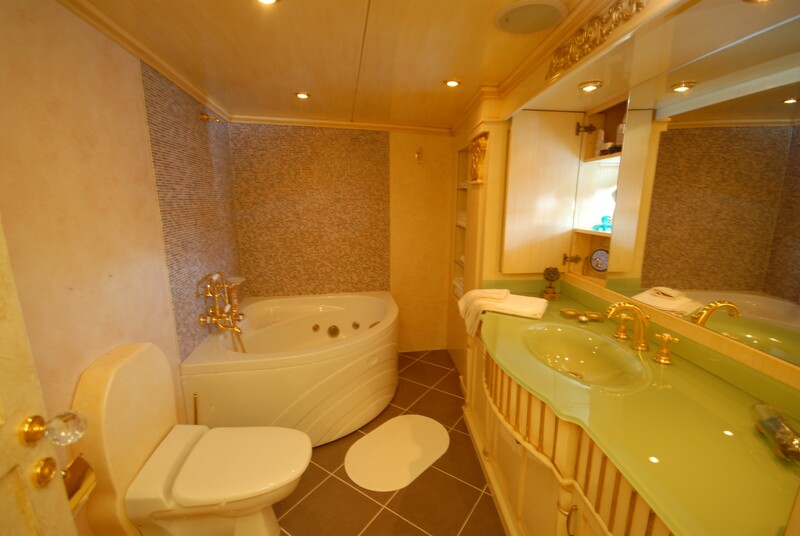 Her accommodation layout provides five cabins for a total of 10 charter guests. 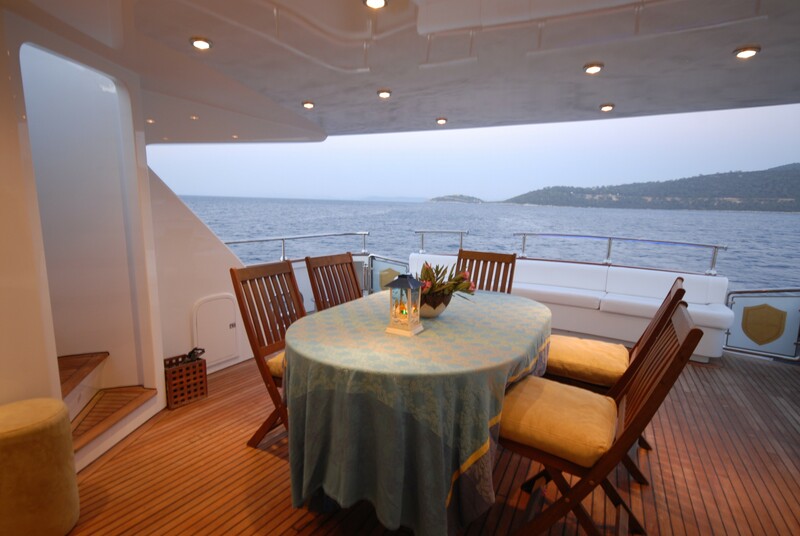 The shaded main deck aft hosts an alfresco dining table that can seat up to six guests for meals out in the fresh air. 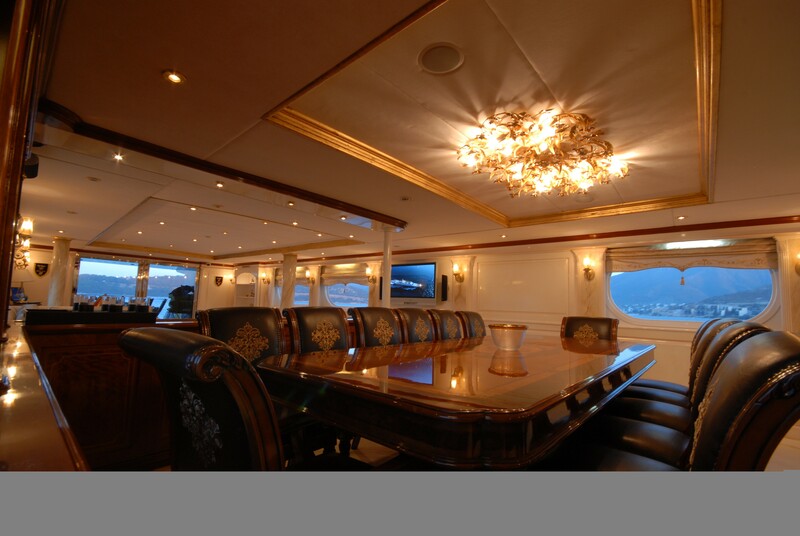 After a lavish three-course meal the group can remain outside and watch the sunset from the stern seating or sit on the swim platform and watch the stars appear in the night sky. 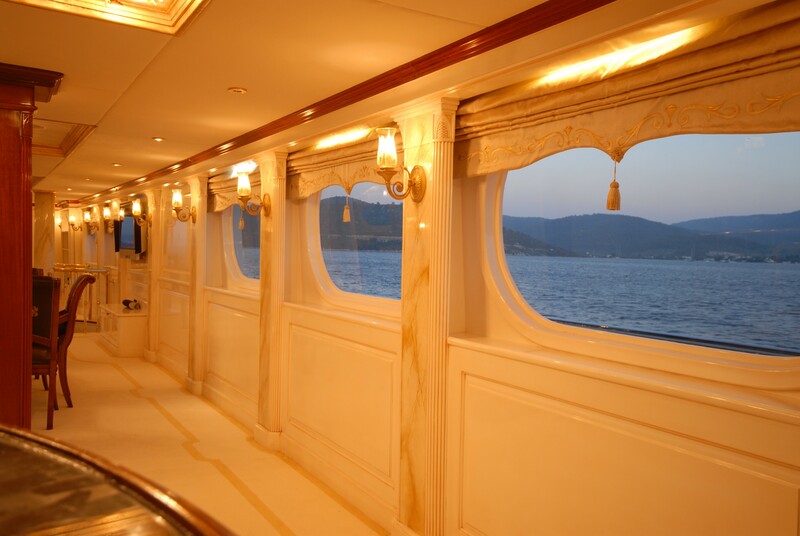 On the bow, there is a large sunpad forward of the helm station and the deck space is clear for guests to use for exercise, sunbathing or observation. 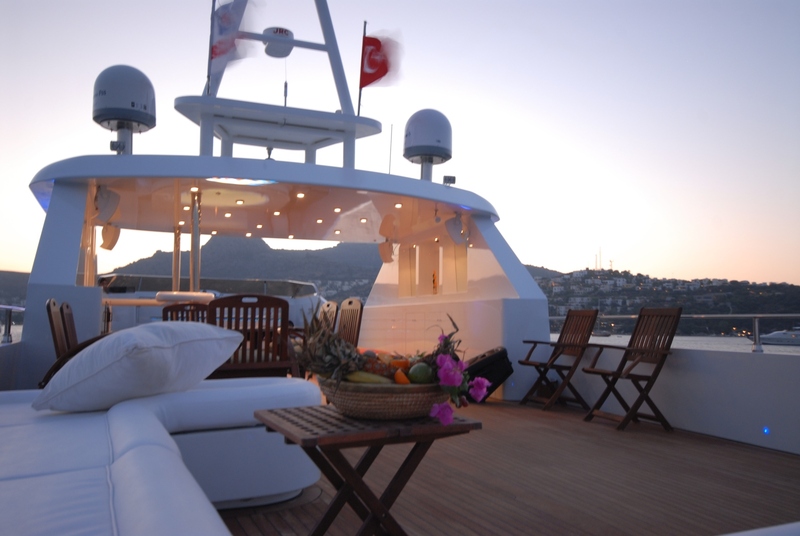 The lengthy sundeck comes equipped with a raised forward Jacuzzi, a shaded central bar, an aft alfresco dining area on the starboard side of the stern, port-side sunpads and an outdoor lounge that curves around a coffee table. 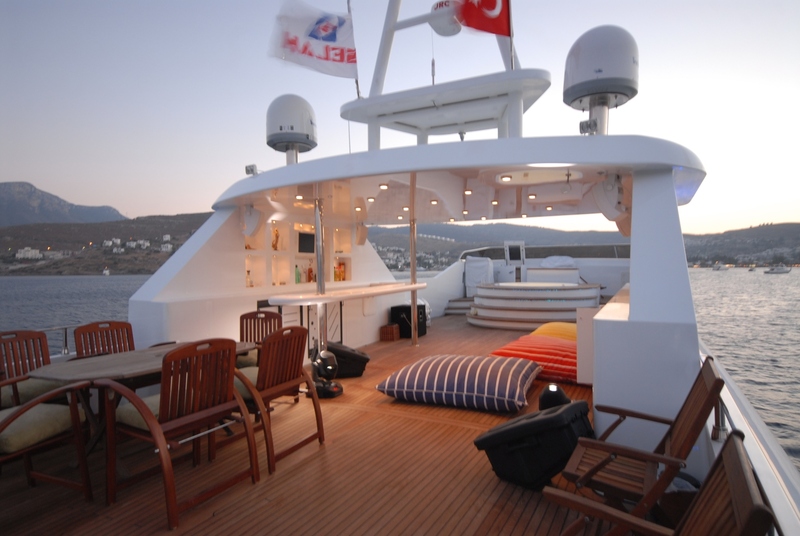 In addition, the over-sized floor cushions are ideal for adults and children who want to choose their sunbathing spot or for resting in the shade. 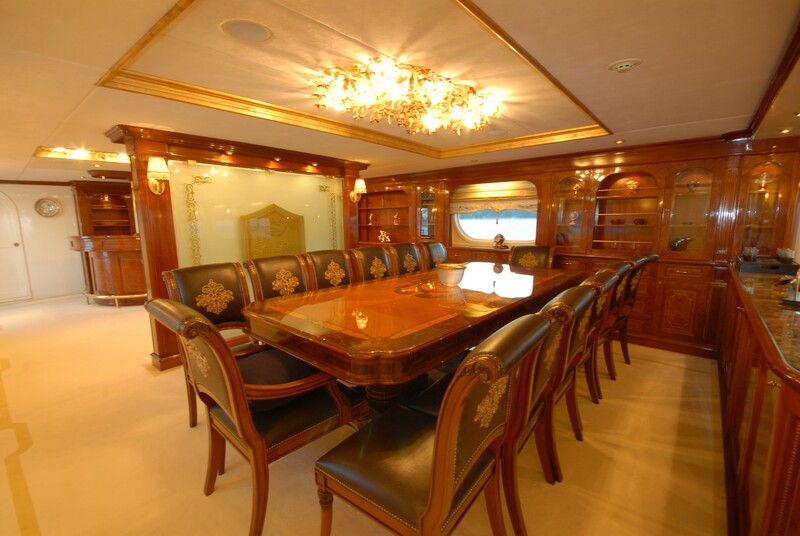 The main deck combines classic and contemporary styling to create a comfortable environment in the main salon that is perfectly suited to everyday use and as a place to celebrate special events on a corporate yacht charter or among family and friends. 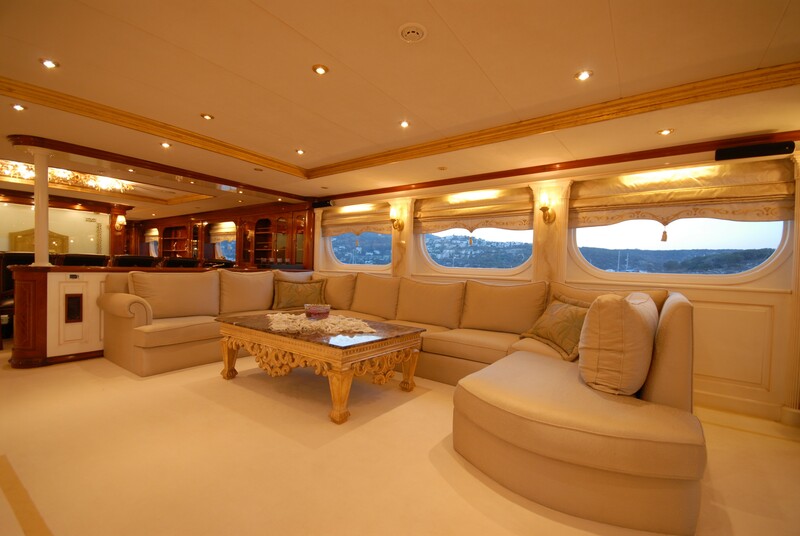 The aft is fitted with a plush contemporary sofa in white that surrounds a marble-topped golden coffee table and pillars and wall sconces add to the ambience after sundown. 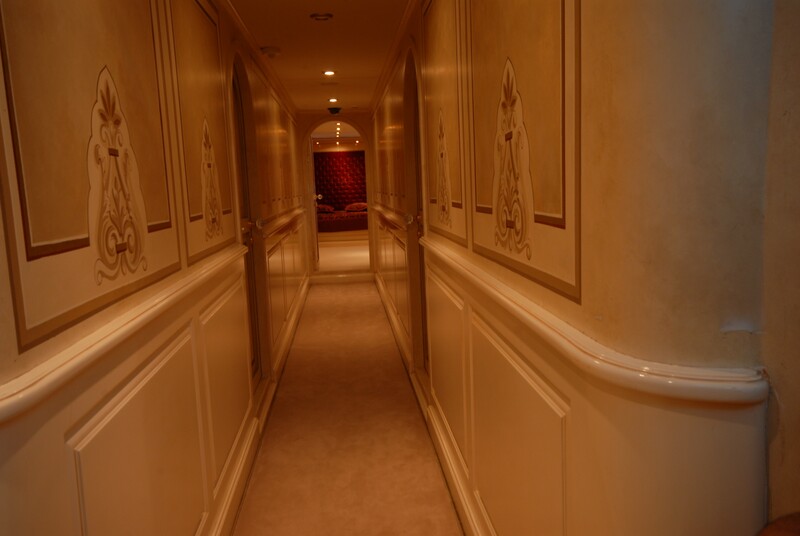 Forward of the salon, the formal dining area is wonderfully opulent and provides a considerable dining table and 12 embellished leather-back chairs in rich wooden-panelled surroundings further enhanced by the lighting from the exquisite chandelier. 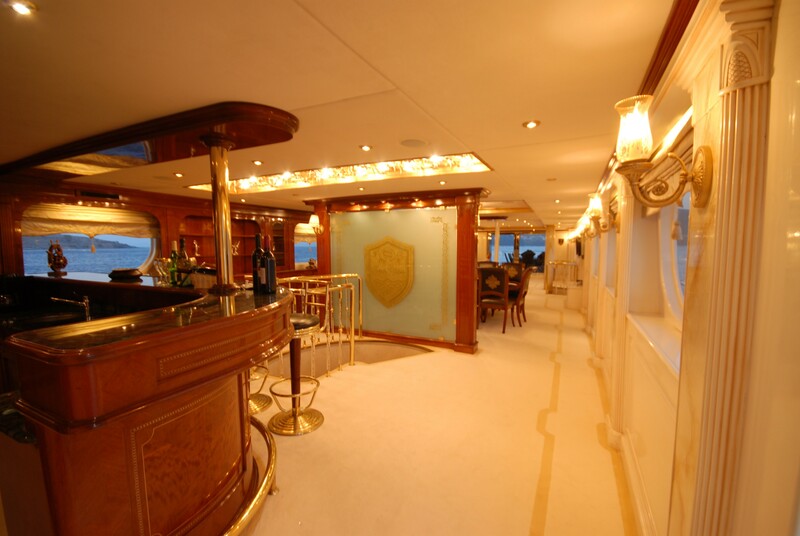 A partition conceals the bar from the dining area for a closer atmosphere between guests. 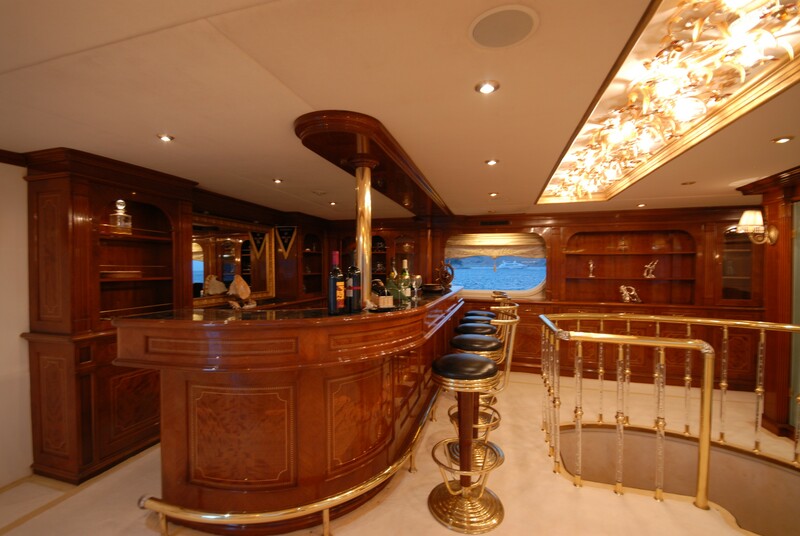 For refreshments throughout the evening, the bar has an excellent choice of spirits to add to any occasion. 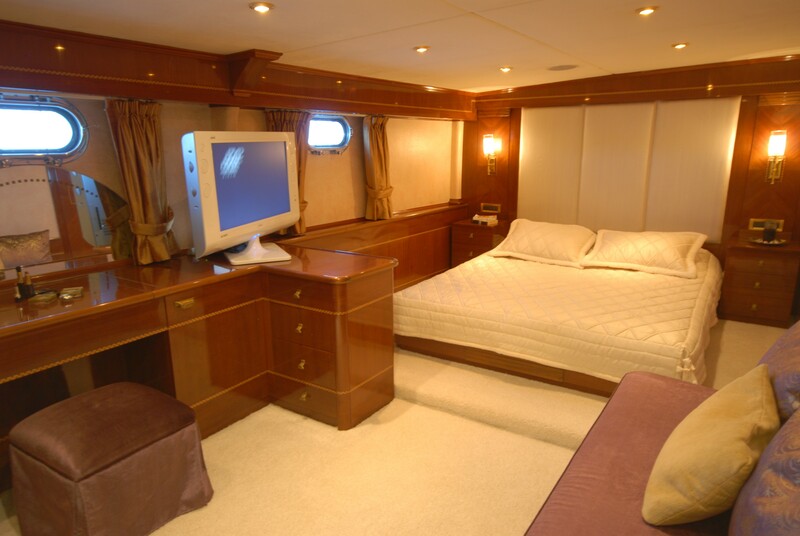 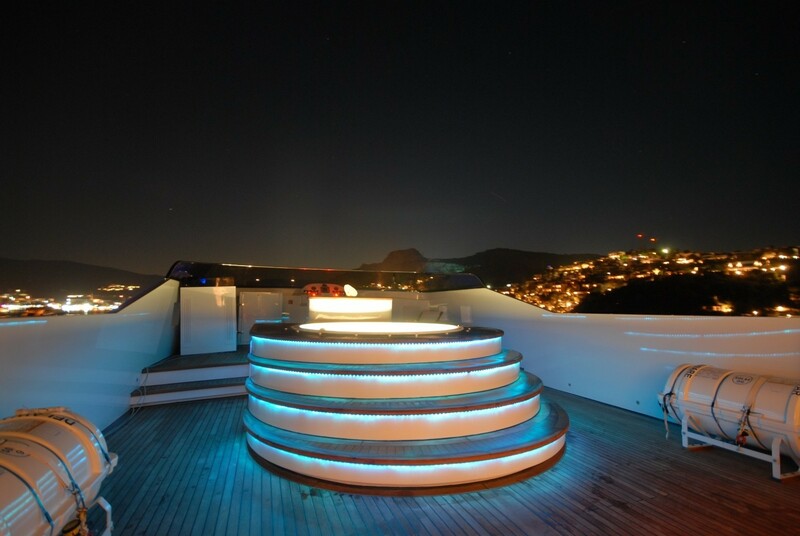 The lower deck hosts the tender garage, the crew accommodation and the guest accommodation. 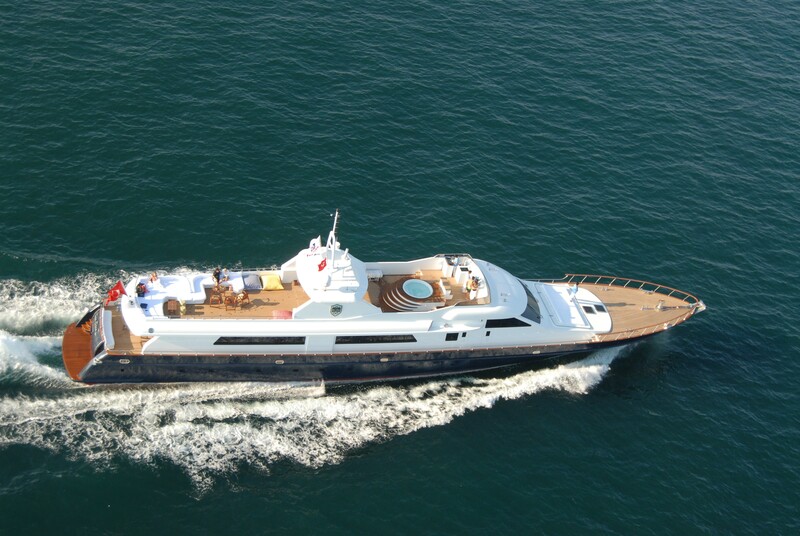 A pair of 16V 2000 M90 diesel engines allow M/Y SEASTAR to reach a top speed of 22 knots and while cruising at 17 knots she has a range of 1,500 nautical miles. 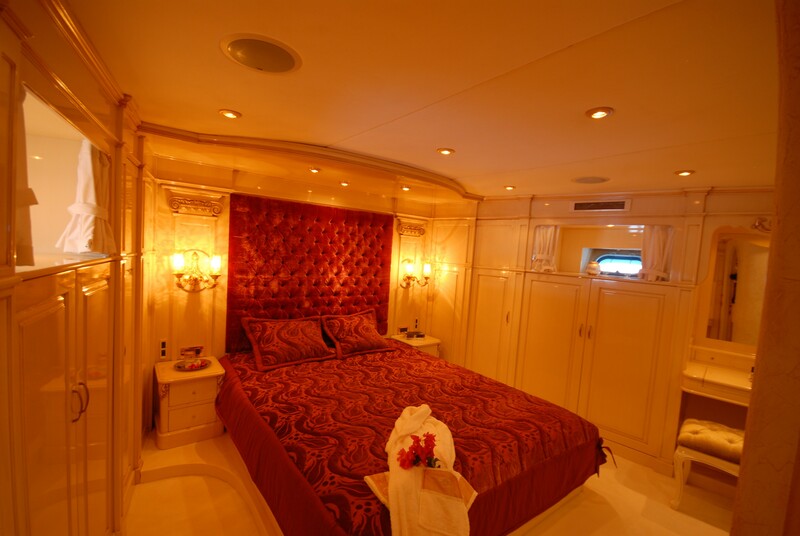 The accommodation layout provides for up to 10 guests across 5 beautifully decorated cabins: 1 Master suite, 1 VIP stateroom and 3 twin cabins. 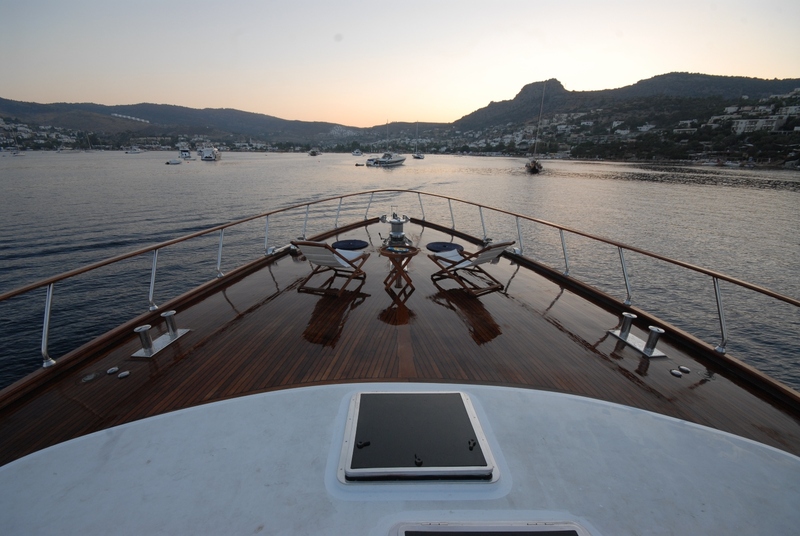 A professional crew of 5 will provide everything guests require for a relaxing cruise among some of the world's most spectacular destinations. 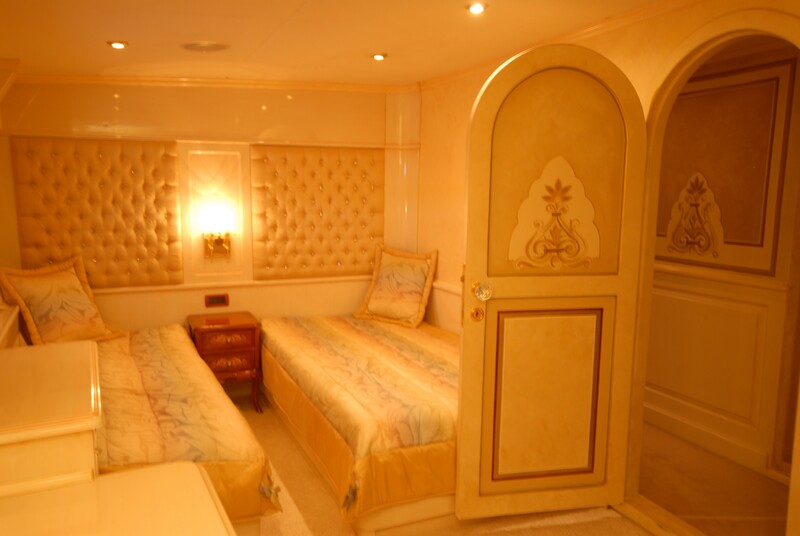 1 x Waverunner, Scuba diving equipment, snorkelling gear, fishing equipment, inflatable toys, Jacuzzi, Wi-Fi, air conditioning.